Chimney Care Plus offers a full portfolio of chimney and venting system services. Be it wood stoves, fireplaces, chimneys, or dryer vents, we understand the intricacies of the venting systems in your home. We serve Frederick, Mt. Airy, Hagerstown, Myersville and surrounding areas. We are equipped to address all of your chimney maintenance and safety needs. Our CSIA Certified Chimney Sweeps use state-of-the-art equipment to inspect and sweep both first- and second-story chimneys. 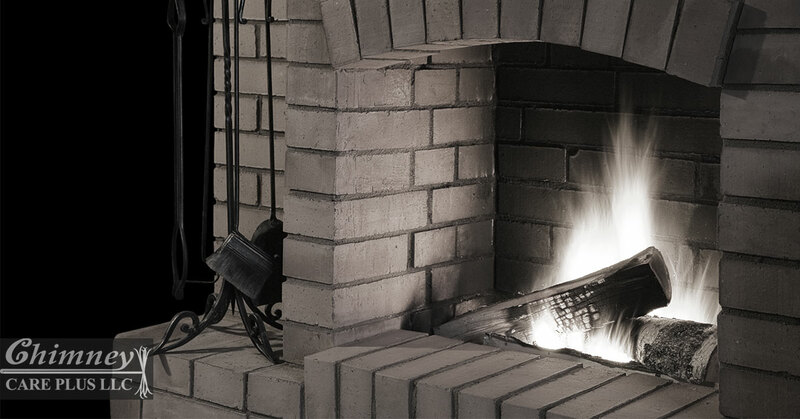 We are able to service any chimney configuration, including oil, wood, and gas-burning applications. While sweeping your system, we ensure that it’s in working order. We look for any problems that can impede peak performance and recommend corrections for your system. Learn more about our chimney inspection and cleaning services. In addition to servicing chimneys, we inspect and clean dryer vents in one- and two-story homes. tools allow us to detect and resolve issues before they become more serious problems. We offer a full range of repairs to chimney systems, big and small; from repairing leaky flashing to tuckpointing and masonry repair; even relining the flue and chimney rebuilding. Learn more about our chimney waterproofing, repair, and restoration services. Improperly built crowns are a common problem. If yours is cracked or poorly constructed—allowing water penetration or posing a fire hazard—we may build a concrete one that’s guaranteed not to crack. In most cases we will simply seal the crown with the best material available, unless the damage is too severe. The best way to prevent rain, snow, animals, leaves, debris and moisture from entering your chimney is to install a chimney cap. Our high-quality stainless steel chimney caps carry a lifetime warranty. Learn more about our chimney cap and cover services. they start by replacing crumbling masonry and rusty metal chase tops. We may be able to sand, paint and seal chase tops to extend life and appearance, this will also help keep costs down. If water is damaging your fireplace inside or out, we’ll find and repair the issue, regardless of the source. flashings around chimneys, stacks, and vents. While we’re on the roof, we can quickly and effectively clean your gutters so that water runs away from, and not into, your home. Using a drill, rods, and chains (a special rotary cleaning device) we can remove heavy deposits of creosote from the inner walls of the flue where standard metal wire brushes cannot. The Roto-Cleaning method is more expensive and only recommended if standard cleaning methods fail. The client will be informed if such methods are needed, as Roto-Cleaning is time consuming. Roto-Cleaning is generally the best solution for conditions of poor burning habits or a neglected flue. Occasionally, wood stoves and fireplaces can produce a tar or glaze called creosote which is nearly impossible to remove through regular chimney sweeping. Cre-Away is a chemical powder which modifies existing third-degree creosote by changing it into a substance that can be easily removed through normal chimney sweeping methods. The time it takes to convert depends on variables such as: type of wood burned, moisture content, burning habits, airflow, flue size and the amount of existing buildup. Multiple cleanings and applications may be necessary to completely mitigate the existing third-degree creosote. Should your chimney require a new liner, our chimney care professionals install high quality stainless steel liners and related components to accommodate wood burning, oil and gas appliances or fireplaces. All of our liners carry a LIFETIME WARRANTY and are transferable to the next homeowner, provided you have your new liner inspected once a year and have a certified chimney technician sign the warranty form provided.